Crowther’s uneven debut, split between London and Iran, traces the journey a mother and daughter make to close the distance between their lives. A tragic accident begins the tale, unraveling life-as-usual for Maryam and her daughter Sara. When Maryam hits her nephew Saeed (who, following the death of his mother in Iran, now lives in London with Maryam and husband Edward), she sends the frightened boy running to a bridge. Sara chases him, and in the struggle, miscarries her child. Before Sara even leaves the hospital, Maryam is off to Iran, guilty, disconsolate, unable to sustain the fragile patchwork of her past and present. Back in Iran, in the rural village where she spent idyllic summers, she reflects on the troubled year that the Shah was returned to power and she was banished from home. 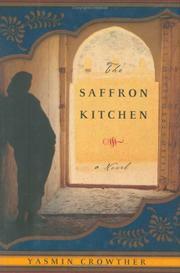 With her father, a wealthy general, high-spirited Maryam and her two sisters live a privileged life. She even has an English tutor, young Ali, who is teaching her Matthew Arnold’s classic poem, “Dover Beach.” Her nanny Fatima binds her breasts to keep her seemingly girlish, but her father is considering marriage for her while Maryam dreams of travel and a life away from her father’s restrictions. An unavoidable and innocent indiscretion with Ali dishonors her father, who then disowns her. Maryam becomes a nurse, goes to England and marries sweet Edward, while she recites “Dover Beach” to the sea, hoping her voice will reach Ali. While Maryam indulges in her reveries and reconnects with Ali, Sara and Edward attempt to get on with life in England. Edward has given up, believing Maryam will never return—in fact, was never really his—and Sara, now caring for Saeed, tries to understand why a lost childhood in Iran is more vital to her mother than the ensuing 30 years in England with the family she created. Indeed, it is a question readers will ask—and that Sara poses when she eventually travels to Iran—but one that Maryam is unable to adequately answer. Though Crowther builds an evocative portrait of Iran and the painful pull of two cultures, too much of the novel hinges on an overly enigmatic character and her vague longing for the indefinable idea of home.